Watch This Style: 5 Must-See Movie Trailers Coming This Fall! This is the time of year when big things start happening. Fashion Week is just around the corner, followed by a stellar awards season for film & television. There are already some major contenders in the awards race, but there are plenty of great films on the autumn horizon with trailers that recently hit the web. 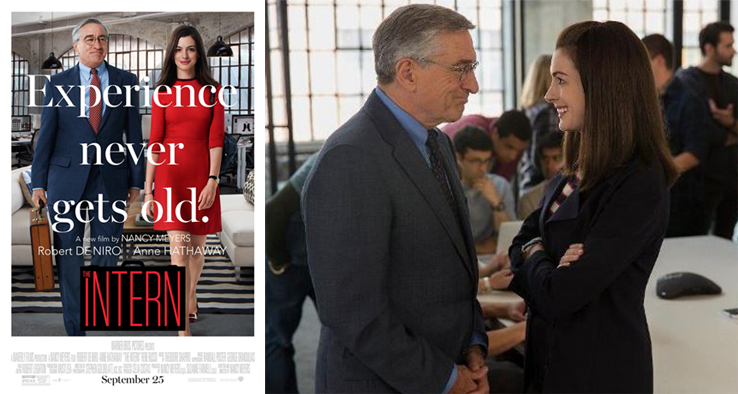 The Intern opens September 25th, starring Anne Hathaway, who’s running her own online business & gets a few life lessons from her senior-aged intern, played by Robert DeNiro. Suffragette is a period drama about women fighting for their right to vote, starring Carey Mulligan, Meryl Streep, & Helena Bonham Carter, opening October 23rd. By The Sea might just be one of Angelina Jolie Pitt’s final on screen films, about a married couple in the 70’s who take a vacation to Malta to save their marriage. The actress not only stars in the movie (with husband Brad Pitt), but she also wrote & directed the drama, which hits theaters on November 13th. Sisters stars Tina Fey & Amy Poehler, following the hapless misadventures of clueless sisters who throw one last party before their parents sell their childhood home, just in time for the holidays on December 25th. Joy marks the reunited unstoppable quartet of director David O’Russell, starring Jennifer Lawrence, Bradley Cooper, & Robert DeNiro in a film that follows a family of four generations, building a family dynasty, opening on December 25th. Which movies are you dying to see this fall? Who do you think is up for some serious awards this season? For more stylish posts, check out the latest red carpet & street style looks from Gigi Hadid & Zendaya Coleman, how to wear a chambray shirt in 4 ways for summer, Kate Mara’s pixie cut & fashionable frocks, & affordable maxi skirts inspired by Miranda Kerr & Jennifer Lopez. Happy Styling! Runway Rundown: Christian Dior’s Resort 2014 Collection! When I think of luxury designers, Christian Dior always comes to mind first, especially since I’m constantly reminded of the brand’s unforgettable designs worn by some of the most famous celebrities like spokes models Marion Cotillard, Charlize Theron, Jennifer Lawrence, as well as red carpet A-listers like model / actress Rosie Huntington-Whiteley, four-time Oscar-nominee Julianne Moore, & The Great Gatsby‘s Carey Mulligan. In the latest Resort 2014 Collection, there are plenty of sleek, feminine details in the line, including nipped waistlines, pops of colorblocking, modern menswear cuts, & flowy hemlines. The hefty 58-image gallery below shares the entire collection, & some of my favorite pieces include the separates which can dress up a pair of jeans, skinny pants, or leather shorts. Also, I love the idea of jackets too, which make for perfect toppers to any vacation, office, date night, & casual look. Which are your favorite Resort 2014 Collections? 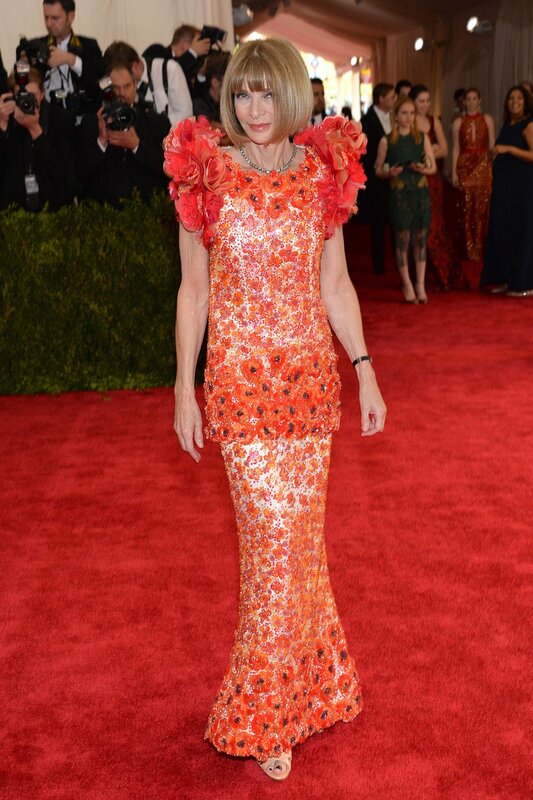 Which designers are you following on the runway? For more from Runway Rundown, check out previous posts including galleries from Erin Fetherston, Alice + Olivia, Christian Siriano, Rachel Zoe Collection, & Tory Burch. Happy Styling! Red Carpet Review: This Year’s Cannes Film Festival, Featuring Nicole Kidman, Carey Mulligan, Rooney Mara, & More! The Cannes Film Festival is still underway; however, I’ve been ravenously collecting a slew of glamorous day & evening looks from the event’s red carpets, including premieres / screenings, press junkets, & parties. Some of the most buzzed about films are being celebrated overseas, including The Great Gatsby, As I Lay Dying, The Hunger Games: Catching Fire, The Bling Ring, & Inside Llewyn Davis. Jennifer Lawrence has been in out & about in several head-to-toe Dior looks. It’s also no surprise that Gatsby actress Carey Mulligan has been making headlines with a series of black & white minimalist ensembles from Vionnet, Balenciaga, Dior Haute Couture, & Chloe. Other favorites include Nicole Kidman who is promoting Grace of Monaco, where she portrays the always enchanting Grace Kelly. The Aussie Oscar-winner has been staying loyal to her classic elegance with a touch of flair in a leather belted Calvin Klein dress, Alexander McQueen LBD, dreamy Dior Haute Couture tea-length dress, & fun printed column gown by L’Wren Scott. A star who I’ve been keeping an eye out for, especially from earlier this month at the Met Costume Institute Gala, is Rooney Mara who continues to share her androgynous sense of femininity in Vera Wang, Calvin Klein, & Giambattista Valli. Be sure also to check out the gallery since I’ll continue to add more images to it, including looks by Ziyi Zhang, Freida Pinto, Emma Watson, Isla Fisher, Jessica Biel (especially in Marchesa), & more! Which has been your favorite look so far? Which movies are you most excited to see from the festival? For more from Red Carpet Review, check out previous posts including this week’s Billboard Music Awards featuring Kelly Rowland & Miley Cyrus, mini dresses on Anne Hathaway & Alexa Chung, black & white looks from Gwyneth Paltrow & Kate Beckinsale, & Revenge actress Ashley Madekwe’s Topshop jumpsuit outfit. Silver Screen Style: A Visionary, New Trailer For Baz Luhrmann’s ‘The Great Gatsby,’ Starring Leonardo DiCaprio & Carey Mulligan! Some of you may already know that I lend my writing skills to a movie news & reviews website, Movie Buzzers, as a freelance film critic & news reporter. This has its benefits since I love to examine fashion in films & one of the most anticipated movies of 2013 is certainly Baz Luhrmann‘s The Great Gatsby, starring Leonardo DiCaprio, Carey Mulligan, Tobey Maguire, Joel Edgerton, Isla Fisher, & Elizabeth Debicki. Not only does the movie celebrate the Jazz Age classic tale, originally written by American author F. Scott Fitzgerald, but it’s Luhrmann’s imagination that brings new life to the 3-D film. Also, costume designer Catherine Martin (Moulin Rouge, Australia) collaborated with Miuccia Prada, whose accomplishments include Prada & Miu Miu, for an impeccable vision for men’s & women’s fashion for the era. You can be certain that luxurious lace details, flapper-inspired hemlines, & art deco accessories will make a comeback once the film premieres on May 10th. Take a look at the latest trailer, which features an in-depth look at Gatsby’s romance with Daisy, & the love triangle that ensues when Daisy’s husband Tom sees his wife swept away by the millionaire. Are you excited about the premiere of this film? Do you like the casting decisions? What do you think about the fashions? For more posts from Watch This Style, check out a behind-the-scenes look at Zöe Salanda’s cover shoot for InStyle, the Lena Dunham-directed video for designer Rachel Antonoff, the story behind J.Crew’s shoe collection, & Katie Holmes’ beauty talk with Allure. Happy Styling!